Mastic Varnish has a semi-gloss finish that naturally increases color luminosity. It is an extremely durable varnish and is often used in conservation and restoration work. 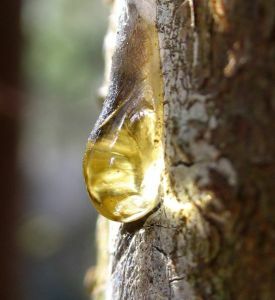 Mastic, being one of the strongest binding resins, is quite permanent. It's varnish has been protecting Old Masters works for centuries. At the time of the Old Masters, Mastic Varnish became common as a finishing varnish as well as a major ingredient in oil painting mediums. It continues to protect master paintings in museums worldwide. Learn more about Mastic Varnish. Learn How To Varnish A Painting Using Mastic Varnish.